Good but loud even when the speed is set to be low. If sound isn't an issue then this fan is perfect. As quiet as you'll get in a case fan with reasonably airflow. Pulled from my last PC because I wasn't buying more when these work perfectly. They're quite and keep everything cold. The color could be better but oh well. Have a great selection for power limitations with their adapters. Quiet, even without the adapters. Can put on your air cooler without any problems. Can be used as intake in the front, if you have HDD cages in the front. Great use, performance, quiet operation, and size. Great fans, hate the color. I love using them in any case that I want to be quiet that doesn't have a window/where they can't be seen. Sooo quiet. I'll never go back to those god-awful Corsair case fans. Expensive though. Can't hear them usually, they keep the case nice and cool too. 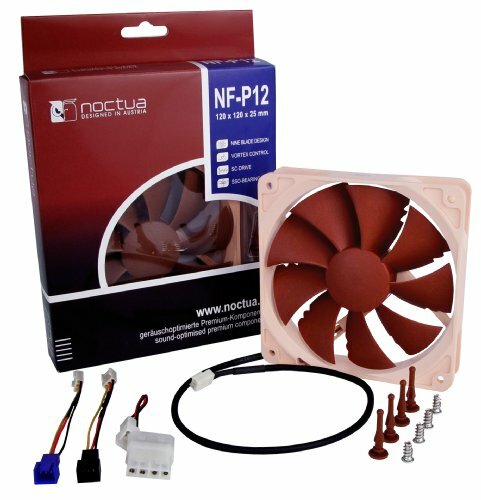 I love Noctua, a lot.